Gandhiji was a trained barrister but could not practice in England as he had to return to India on account of his mother’s death. His attempts at establishing practice in Bombay did not take off, apparently because of his psychological failure to cross-examine witnesses. His practice in Rajkot comprised of drafting petitions for litigants. He then went on to practice law in South Africa where simultaneous with his moderate success as a lawyer, his ideas on the freedom, equality and liberty took birth. Gandhiji is the ‘Father of our Nation’ but his values, for us lawyers, mean a lot more. He was one of us, probably the best among us, someone whose ideals we can aspire but never reach. On his birth anniversary, I want to emphasise on three attributes of Gandhiji which I feel are relevant to us. In My Experiments with Truth, Gandhiji writes, “I realised the true function of a lawyer was to unite parties riven asunder.” In this day and age, where litigations are driving a wedge between families and friends, alternative dispute resolution methods focusing on consensus and partnerships have gained moderate success. Gandhiji was the true proponent of this system inasmuch as he emphasized that it is not the judicial system or the parties who must resolve disputes but lawyers. We often say that we are only the mouthpieces of our clients. Gandhiji wanted us to “unite parties”. The term ‘unite’ has a much strong connotation than just ‘resolve’ disputes. He wanted us to fight not just for our clients but also with our clients for what is right and what is best for our client and the society as a whole. The society functions well only when we are not divided by disputes. A lawyer becomes a nation builder if he manages to unite rivalling parties. This he must do, in spite of the judicial process available to the parties. Such a challenging task he set for us! Gandhiji did not find much success in court using his methods of persuasion but he moved an entire nation to give up everything and fight for a vague, amorphous, unknownand unfathomable concept called ‘freedom’. His power of persuasion came from his strong sense of justice and what is right. Mere existence of a law did not dissuade him. He used a strong sense of logic and called upon people to see why the law is wrong. For this, he relied on a higher principle and a concept of justice which made the colonial laws and systems look inferior. As lawyers, it means that if we consistently maintain a strong sense of justice, in the long run, it always pays dividends, even if this implies concession to the other side. In order to point out as to why an action or a law is wrong, Gandhiji always evoked a higher principle and truth on which our society ought to rest (in the present times, the constitutional ideals). If we mould our arguments from a sense of justice for the society as a whole, it provides the court a holistic perspective on the law. Thus, any judgment rendered will benefit the society as a whole. As lawyers, if we incorporate this technique in our arsenal, it will not only make us better lawyers but also contribute to building better ideals as a nation. For instance, the judgments rendered by the Supreme Court on triple talaq and right to privacy in the recent past, stand testimony to this. Gandhiji’s failing as a lawyer came from the strong moral code that he possessed. Once he convinced himself of a truth, his heart would not permit him to deviate from it. He could not cross-examine effectively or argue a man’s innocence in such a situation. 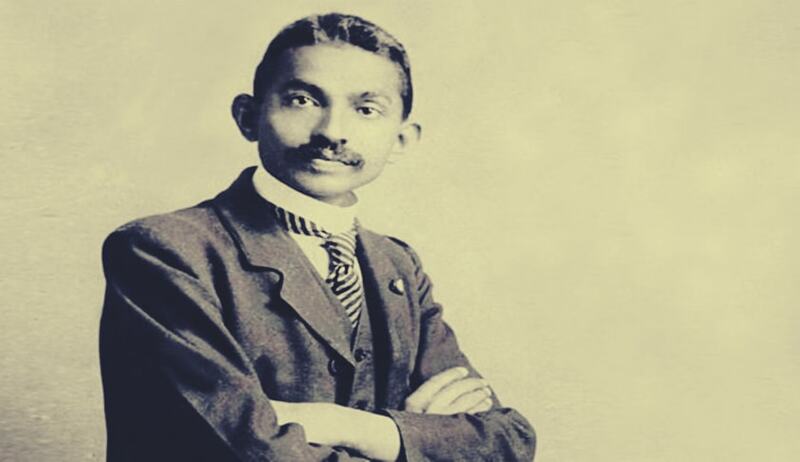 However, this moral code gave him his greatest strength to fight against an entire nation’s thought process (there was no firm concept of self-rule before Gandhiji evolved it) and the prevailing colonial rule. He was convinced in his mind that he was right and no amount of threats, coercion, punishment or persuasion could change that thought. If we are steeped in our professional and ethical morals, certain arguments or submissions which embarrass the court would automatically cease and one stands with a sense of responsibility and humility before it. Gandhiji’s moral code defined our nation and that moral code evolved during his work in South Africa as a lawyer. The system and the moral code that it represents are bigger than us, our clients, the judges and all the other actors. Therefore, as lawyers, we must believe in this moral code so strongly that it becomes a part of our core. We have a higher sense of responsibility towards this nation and must aspire to fulfil it. Wishing all of you a very happy Gandhi Jayanti. Have a wonderful day! Ajay J Nandalike is an advocate practicing in the High Court of Karnataka and partner at Pragati Law Chambers, Bengaluru. The views are personal.